Hines has sold WaterWall Place, a multifamily development adjacent to the Galleria and Williams Tower. HOUSTON – (Realty News Report) – Hasta Capital has acquired WaterWall Place, a seven-story, 316,000-sf, 322-unit for-rent residential project in Uptown Houston, adjacent to the Galleria mixed-use development. Hines developed the apartment building, located on a three-acre site at the northeast corner of Hidalgo Street and McCue Road, overlooking the Gerald D. Hines Waterwall Park, next to the 64-story Williams Tower. 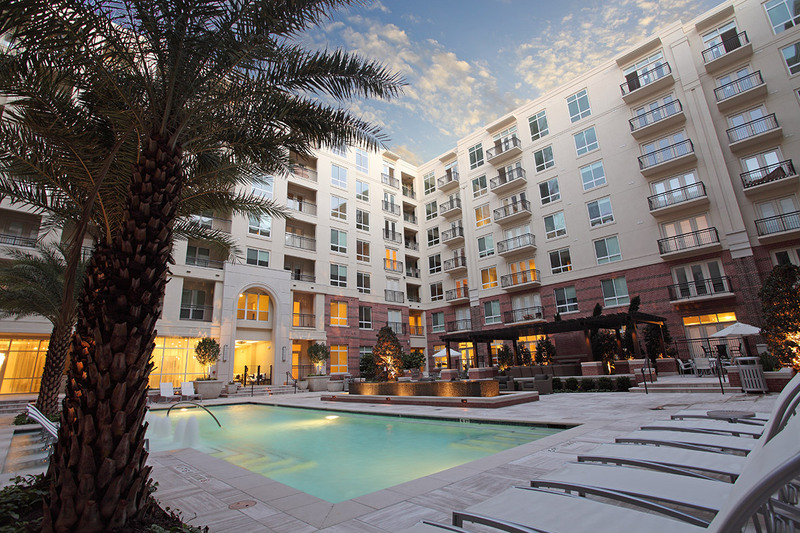 WaterWall Place was the first of several multi-family projects Hines developed in Houston. The development, designed by Wallace Garcia Wilson with Jackson Ryan as design architect, was completed in 2014. Hasta Capital operates in the U.S. and Mexico.